On the surface, the infamous Slender Man stabbing might seem like a cut-and-dry case of monsters and their victim: On Saturday, May 31, 2014, two 12-year-old girls named Morgan Geyser and Anissa Weier lured their schoolmate Payton “Bella” Luetner into the woods of Waukesha, Wisconsin, a suburb of Milwaukee. There Geyser stabbed Luetner 19 times. After she was arrested, Geyser said she had been egged on by Weier, and that they had stabbed Luetner as a sacrifice to the Slender Man, a popular faceless internet meme whose origins date back to a 2009 Photoshop contest on a Something Awful message board. But the truth is denser than headlines, and Irene Taylor Brodsky’s Beware the Slenderman, which played festivals last year and premieres tonight on HBO, illustrates just how much more complicated and potentially troubling the case is. The documentary focuses on the perpetrators, Geyser and Weier, as a result of Brodsky’s slightly restricted access—though she contacted Luetner’s family in the same manner as the others (by sending them letters and copies of previous films she directed), only Geyser’s and Weier’s families agreed to appear in her film about the case. Brodsky effectively shades in the girls’ characters via footage of their infancies and recollections from their parents. Morgan’s mother Angie Geyser noticed that her young daughter didn’t quite react to things the way other young children typically do—for example, Morgan exhibited no distress during the scene in Bambi in which the mother is shot. Both girls’ families describe the social alienation Morgan and Anissa experienced in school, and how happy they were when they finally found friends in each other. The movie eventually details the girls’ underlying mental health issues that made them more susceptible to believing the Slender Man myth—Morgan has early onset schizophrenia, while Anissa has a milder delusional disorder schizotypy. The situation, thus the movie, is stuffed with horrors. There’s the act of stabbing itself (which Luetner somehow survived). There’s the chilling flatness with which Morgan recounts her crime in closed-circuit interrogation footage (“It didn’t feel like anything. It was like air.”). Then there’s the Slender Man, so horrifying that these girls apparently believed they needed to sacrifice their friend to keep him away from them and their families. 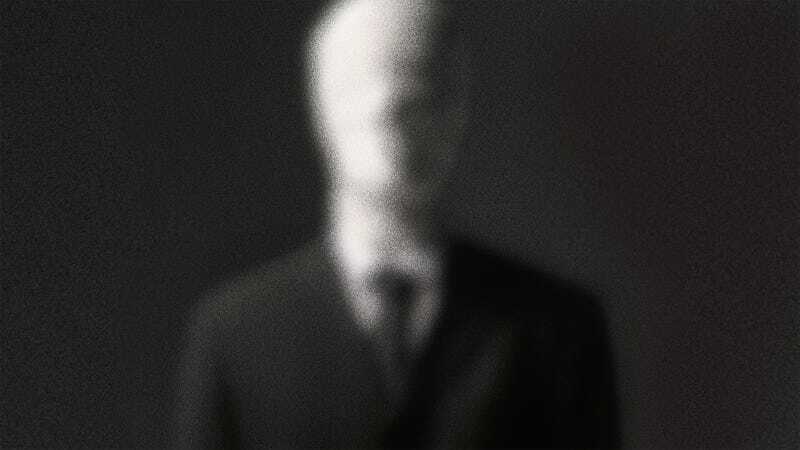 The movie then plays not only like a documentary, but also a horror movie as it incorporates a slew of fan-made games and videos depicting the Slender Man that are designed to unnerve. For the genre element, Brodsky said she tapped into her viewing of ‘80s slasher movies like A Nightmare on Elm Street and Halloween, as well as the fairy tales she heard when she was younger and her religious upbringing. Brodsky said she had started working on a documentary about child brain development in the age of the internet and was looking for case studies to support their theories when the stabbings occurred. “I think what immediately was clear to all three of us [Brodsky and producers Sheila Nevins and Sara Bernstein] was that this was a way to look at how children are perceiving the world around them in this modern age of having 24/7 connectivity,” said Brodsky. She started filming with Morgan and Anissa’s families about two months after the stabbing occurred, and said she got to know them on the 90-minute trips to visit their daughters in jail. The documentary concludes shortly after the August 2015 ruling that Mogan and Anissa will be tried as adults. It’s no coincidence that the movie comes in a time when “fake news” is an epithet on either side of the partisan divide, and just months after a man shot a gun in a D.C. pizzeria that he had read on the internet was home to an underground ring of child predators led by Hillary Clinton. Experts in the movie describe the contagiousness of ideas (“peer-to-peer horizontal transmission,” as one puts it) in our hyper-connected age. The story’s implications go way beyond the two young girls and their victim. That said, Morgan’s and Anissa’s particular situation remains haunting. They will be tried as adults in a criminal trial expected to start this year. They face 65 years in jail. Their situation is reminiscent of that of the similarly impressionable “Manson girls” Patricia Krenwinkel and Leslie Van Houten who remain locked up for crimes they committed decades ago. They were older when they murdered for Charles Manson, but by now many would argue that they’ve paid their debt to society, that they’re different people today then they were in 1969. In fact Morgan’s mother argues that her daughter is a different person than she was just a few years ago—Angie Geyser, according to Rolling Stone, is attempting to have her daughter’s confession and interrogation thrown out of court. In the meantime, the teen girls await their trial.